Get catalogs, sell sheets and other Goodyear literature here. Find the right pressure for your tires. We stand behind our trusted products. Your guide to tire specs, sizing, industry code information and more. Goodyear has the experience and expertise to help drive down your operating costs. Goodyear's cutting-edge innovations help enhance productivity. 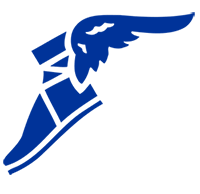 From cool running to high loads, Goodyear has premium technologies for you. We've earned the trust of the industry's biggest and best. Enhance your productivity with Goodyear tires. Delivering the right tires to the right place – at the right time. Help optimise your equipment's performance. Make better decisions about your operation. Have a question? Need information? Contact us here! We're here to help. Contact us now to request a consultation. 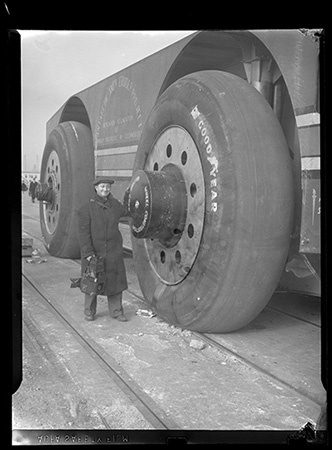 Goodyear tires chosen for Admiral Byrd's Snow Cruiser, which was designed to travel across Antarctica. Goodyear breaks ground on its Topeka, Kan., OTR plant, one of Goodyear's eight OTR tire manufacturing plants worldwide. Goodyear introduces first tubeless tire for grader applications. Goodyear unveils shredded wire under-tread for enhanced support. 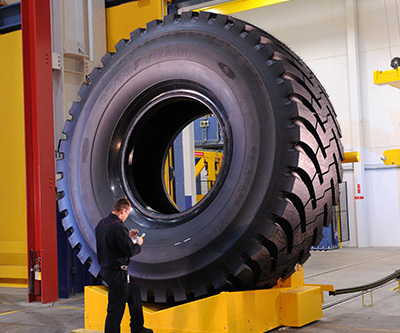 Goodyear builds then-world's largest tire (11.5 feet tall/7,000 lbs.). Goodyear builds Flexten tire cord into bias earthmover tires. Goodyear expands Luxembourg radial OTR tire plant, Goodyear’s OTR tire manufacturing facility in Europe. 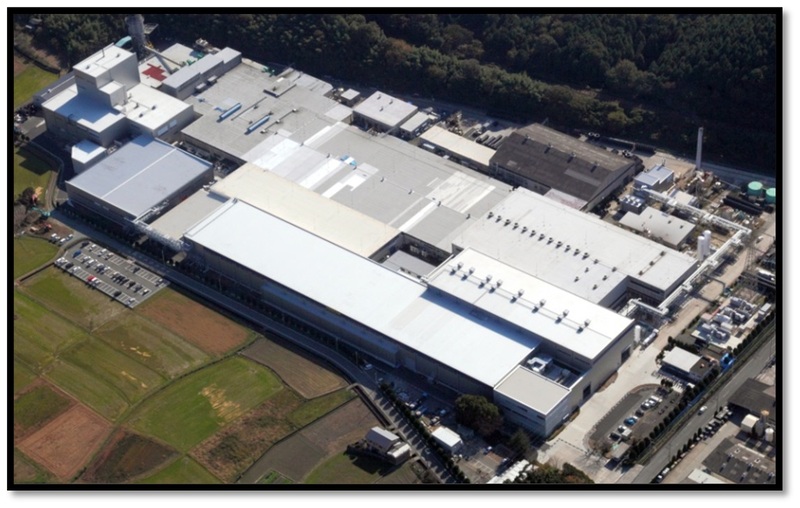 Nippon Giant joint OTR tire manufacturing venture begins in response to rising demand for 57-inch tires. Goodyear introduces EMTrack OTR tire performance monitoring system to track inflation, tread depth and other key metrics. Goodyear wins NorTech Innovation Award, which recognizes products that have demonstrated significant impact within their industries. 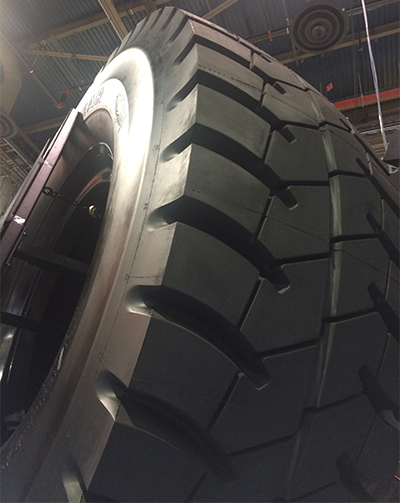 Goodyear begins production of its 63-inch ultra-large hauler tire, part of Goodyear’s Rock Mining (RM) line. Goodyear completes 57-inch OTR tire production capacity expansion to better serve customers worldwide. Goodyear unveils 63-inch version of RM-4B+ OTR tire, which contains Goodyear's latest technologies in materials, design, construction and manufacturing.